Growing up, Chrissy Monaco’s family owned a car dealership. She would help her dad and brothers with different tasks during her summers and intended to work there until she fully understood what her career calling was. And that’s exactly what happened—her calling was right under her nose. Chrissy’s journey took her from boss’s daughter to the boss in less than a decade. She paid her dues and has overcome obstacles that would leave me stumped. As host Jason Feifer learns in this episode, Chrissy found that opportunity she was looking for was closer than she’d have ever imagined. Takeaways: When you uncover where you really want to succeed, it’s best to go all in—even when you know you don’t know the answers. One of the reasons I came to respect Chrissy more and more as the episode progressed is how she so quickly identifies where she needs to improve. Instead of shying away from inefficiencies, Chrissy took the wheel (yes, pun intended) and drove herself to be the leader her team needed. 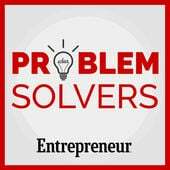 I really enjoyed this episode and the way this new podcast from Entrepreneur is formatted. We’ll be exploring more of these episodes in the coming weeks! In this episode, Mark Schaefer and Tom Webster explore the long, strange journey they’ve experienced during their careers. We get a peek into some of their least favorite jobs and the decisions that lead them to the most rewarding portions of their careers. Takeaways: Mark and Tom each began their professional lives in industries outside of marketing. As they explored and grew, the pair ultimately found marketing to be the most challenging and exciting opportunity for them. 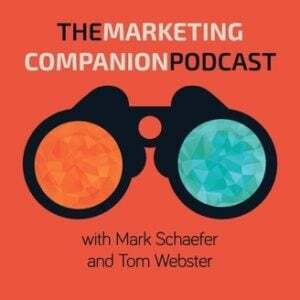 One of the pieces I find the most interesting is the conversation that occurs just before the 24-minute mark, when Mark asks Tom how he stays relevant in today’s business landscape. Our two hosts share how staying in the same business (one as an employee, one as the business owner) for more than 10 years certainly hasn’t been dull. The challenges shift, but their experience and expertise have grown along with the complexity of the tests they’ve faced. Listening to Mark and Tom, it’s clear that those who align themselves with their organization’s mission are (more likely) the most fulfilled pros. Regardless of the path you start off on, you’ll be greeted by choices that challenge you. The questions we encounter will shape the next road we take and how we reach our destinations, even as they evolve. 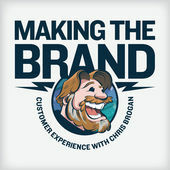 Mr. Podcast himself, Chris Brogan, is back with a brand-new show. Making the Brand is a podcast about companies pushing the boundaries of brand building and customer experience. It’s only two episodes in, but since I’ve enjoyed the other podcasts Chris has developed over the years, I was excited when he announced this one. Unsurprisingly, this did not disappoint. 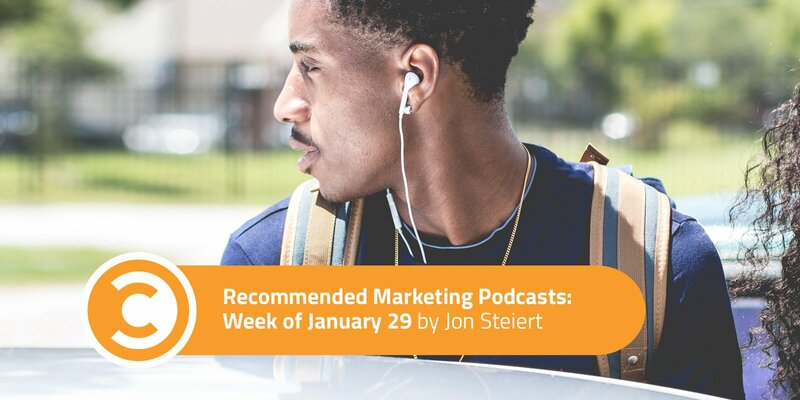 In this episode, founder of Milestone Sports Jason Kaplan joins Chris to talk about the wearable marketing platform (yes, platform) he and his team have created in the running shoe market. It’s cool tech with some fabulous opportunities ahead. Takeaways: Let’s say you’re a business that manufactures a physical good that your customer can use over and over again before it needs to be replaced. You know there’s a general timeframe before the product begins to lose its luster, but you can’t be entirely sure. With a Milestone tracker, both company and customer benefit by becoming the data intermediary to help facilitate a greater customer experience. The concepts that Jason is talking about are beyond fascinating. Not even two minutes into the meat of the program, Chris stops the interview to say, “Put some highlighter in your ear.” Not only do I love Chris for being Chris there, but he underscores the genius that is Milestone’s product. Intermediary communication products between consumer and brand are fun peeks into the future. Would you use a product like Milestone on your physical goods?